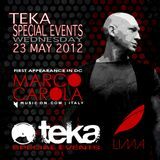 Every Friday at LIMA, TEKA showcases the very best Tech, Tribal and Progressive House DJ talent from around the globe. Peppered with Theme Nights, Live Dancers, Promotional Giveaways, and not to mention DC&apos;s hottest crowd, TEKA aims first and foremost to show you a good time, as well as introduce you to artists & music that are guaranteed to make you move and get those hands in the air! All this and more at LIMA LOUNGE, DC&apos;s premiere lounge venue; complete with 3 floors, a (heated) outdoor patio, one of the best sound & lighting systems in the city, and an extremely personable staff!! 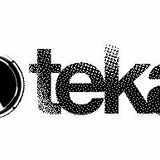 TEKA - Join The MOVEment.